Those of a certain age will remember a small British kids’ TV series from the 1970’s called The Tomorrow People. Big on ideas, low on budget, it was tea-time sci-fi with fish-fingers for the under 12’s. Well, like most TV, it’s been re-invented as one of those identi-kit American sci-fi shows; a middle-budget, flat-pack adventure hour shot with workmanlike efficiency by Canadians, filled with infeasibly pretty boys and girls getting angsty on a weekly basis. Steven (Robbie Amell) discovers he is one of a group of ‘teenagers’ (used advisedly) with special powers. Honestly, these days, who doesn’t have special powers? On the one side is Ultra, a shadowy, neo-fascist organisation darker than the CIA with an obsession for eugenics. On the other side, John, Cara and a band of renegades – the Tomorrow People, blessed with the three T’s – Telepathy, Telekinesis and Teleportation. In the middle, various rogue elements coming in as villain-of-the-week. What do you know, Steven’s father disappeared when he was a child after working with his uncle Jedekiah (identi-kit villainy from Mark Pellegrino) at Ultra. From week one, we’re neck deep in layers of conspiracies, plots, counter-plots, love triangles between infeasibly pretty people, and countless medical and technical maguffins to bend the ‘rules’ (too many rules) and keep the pot boiling. 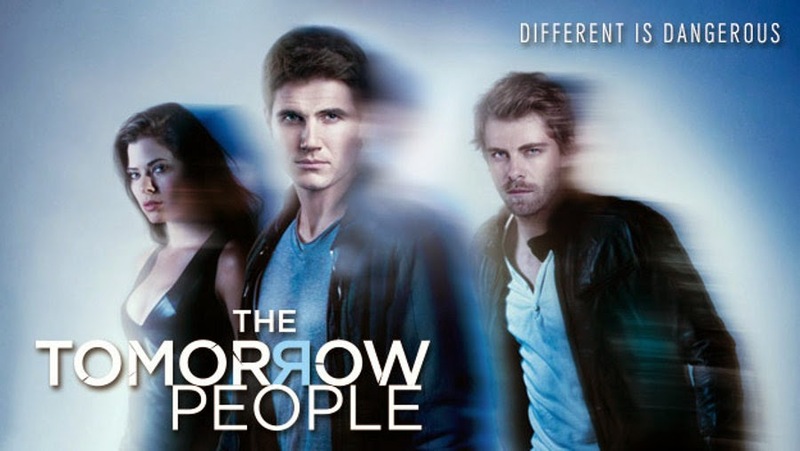 The Tomorrow People led by John (Luke Mitchell) and Cara (Peyton List) are on the run, concealing their powers and their existence whilst trying to stop the duplicitous Jedekiah and the mysterious Founder. Blah. Blah. And indeed, blah. Everyone is working terribly hard on not terribly original material. It’s one of those production-line shows that wants to be dramatic and grand and operatic but manages to be over-wrought AND so bland that it makes tapioca pudding exciting. Yes they can all act, but I really don’t care about any of them and their constant whining, back-biting, bitching and moaning. At least Shield and its grand-dame Buffy have a sense of humour. The Tomorrow People is so po-faced and serious it lacks any light and shade at all. While the special effects and fights are seamless, they are also completely ludicrous. So yes, we’ve proven that we can take a decent idea and remake it as something expensive, but as we found with the Thunderbirds movie, or Heroes (a remake of everything), that doesn’t make it better. Thank you so much for sharing this. This is going to be great. True. Strictly by-the-numbers. Take it or leave it.